A tough and exciting opening hole. Kickout is the key to a successful outcome of this hole. Go for a hard kick and end up in the bend has a clear chance to make birdie. 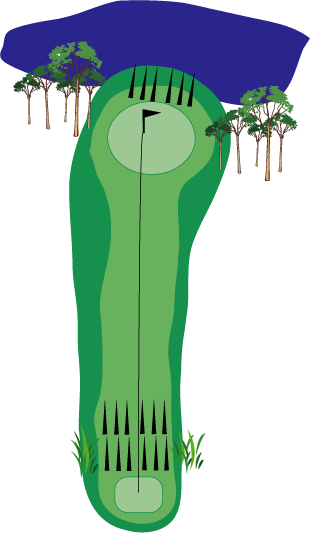 Second hole is one of the most difficult holes, the green is elevated above uppsalafotbollsgolf.se banner and is hard hit with other park. Couples, ie 4 feet, on this hole is a good result. Extremely tough hole. Meadowsweet left and the river that winds on the right side. The green hard undulated! 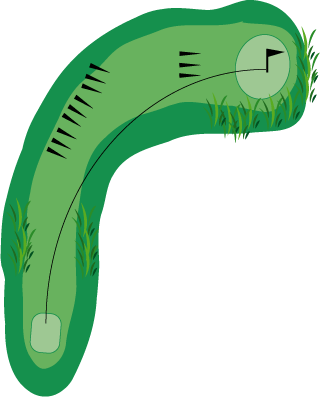 Extremely tough holes. Meadowsweet left and the river that winds on the right side. The green hard undulated! Keep kickout low under the branches and look out for the thick and juicy Meadowsweet. Precision length rewarded before! 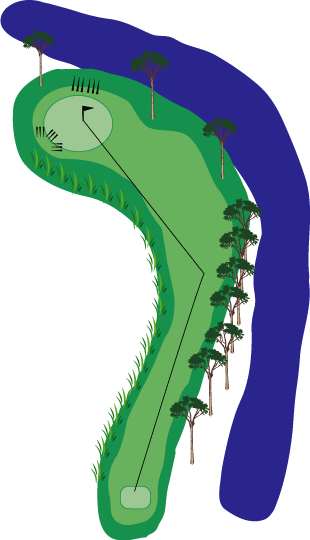 One of the course's longest hole. Important to place kickout on short mown area if you want a chance to reach the green in two kicks. Over rosehip bush waiting for a large putting green. Birdie Chance! "Can you screw it Like Beckham?!" 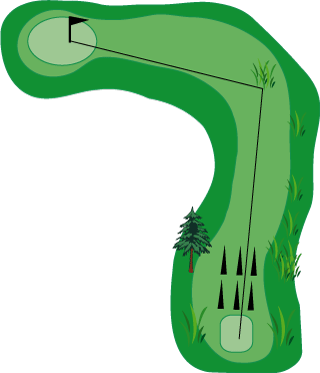 A long par 3 where kickout must be kept low in pine branches. Once on the green guarding an increase in front of the hole. Dogleg right. The length is not difficult for those far-kicking but well in front of the green guarding the rose hip bushes on the left side and the green slopes to the right. 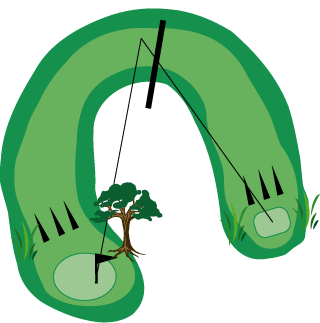 A difficult short hole that curves to the right. Requires length of feeling and a good directional kicks. 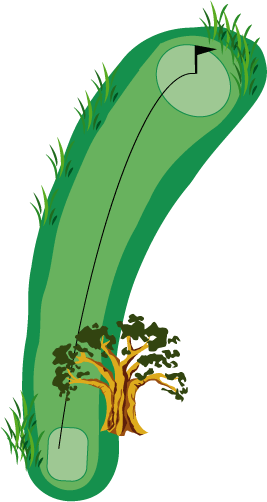 A pair 3 where kickout occurs from an elevated tee. Do not go too far, which guards the river! Strategic kick to simplify other fired toward the hole. Water lurking on the whole right side. A strategic holes also require a part "power in the shot". Green tilts strongly against The approach. Do not kick the ball into the bushes on the right. The ball is lost! 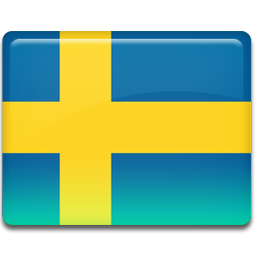 Välkommen till Kurre Hamrins hål! En par 4 ner mot en green omringad av vatten, klar birdiechans. Course most beautiful and longest holes. 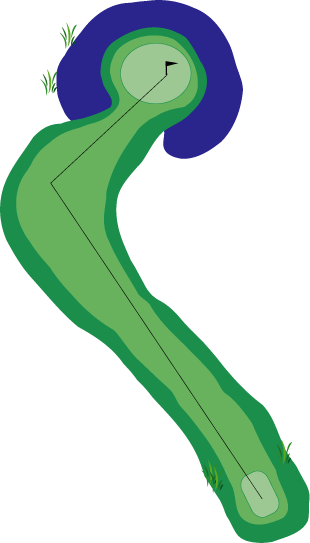 Place kickout strategically to facilitate the second and third fired against the uphill spirit green. Water hazards guarding the left side.